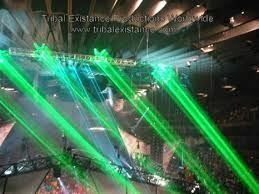 New Customers and Clients Are Invited To Receive Our New Discount Package Deal Rate: 15% off your next Extreme High Power Laser Light Show rental services booking from Tribal Existance Productions Worldwide. We Specialize In The WOW Factor ! !